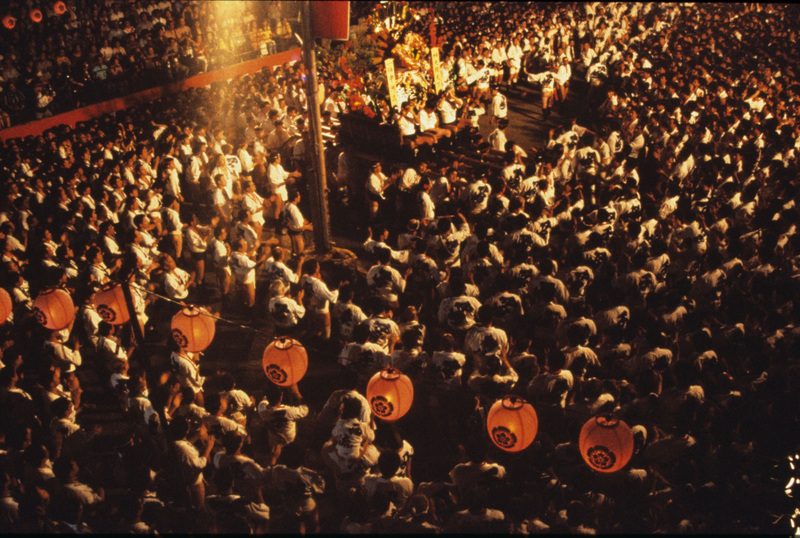 Hakata Gion Yamagasa is one of the most interesting Japanese festivals, famous for its one ton float-racing. 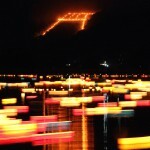 The main event of this festival called Oiyama, a race of 7 floats which has fascinates spectators for more than 700 years. You can also enjoy 14 decorated floats for exhibition in Hakata during the festival. If you want to see floats parading in the streets of Hakata, go on 12, 13 and 15 July. 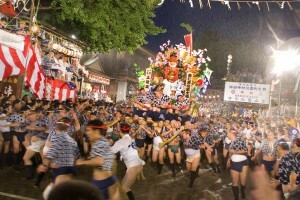 The main event, Oiyama, is held on 15 July, from 4:59 in the morning. There is a special ticket for main event in special seats near Kushida Shrine, near the goal. The tickets will be on sale from mid-June, but it is usually sold out fast that it is really hard to get hands on the ticket even from within Japan. You can enjoy 14 decorated floats while wandering Hakata city. You can get a map showing where they are at the tourist information centers at Hakata Station or Tenjin Station. You should go searching them before the last day of the festival because they will be cleared on the last day. It is better to get free pass for transport, for example, Nishitetsu Bus one day free ticket (620 yen for an adult) or Fukuoka city underground one day ticket (620 yen for an adult). There will be a couple of parades of floats before the main race. If you are not a morning person, it may be wiser to see the floats on other days. On 12 July, from 3:59pm, there will be rehearsal of Oiyama. They starts from Kushida Shrine, so wait them in Taihaku Streets. Or on 13 July, all the 7 floats will march from Gofukumachi crossroad to Fukuoka City Hall. They starts from 3pm. The best place to see is around Fukuoka City Hall. This is a time trial, and each float starts every 5 minutes from 5 o’clock in the morning. They run in 5-kilometer-course in Hakata, finishing at Kushida Shrine. 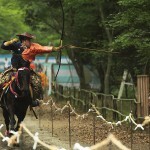 To see this most exciting event, you should arrive at Hakata the night before. On that day, public transport will start running from 2 to 3 am for Oiyama. Hotels near Hakata Station are convenient to get to the venue. Don’t forget to book your hotel earlier! 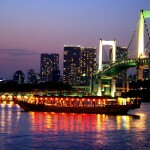 Flights are operated to Fukuoka from Tokyo, Osaka, Sapporo and Nagoya. From the airport, it’s 6 to 11 minutes to Hakata or Tenjin Station by underground.